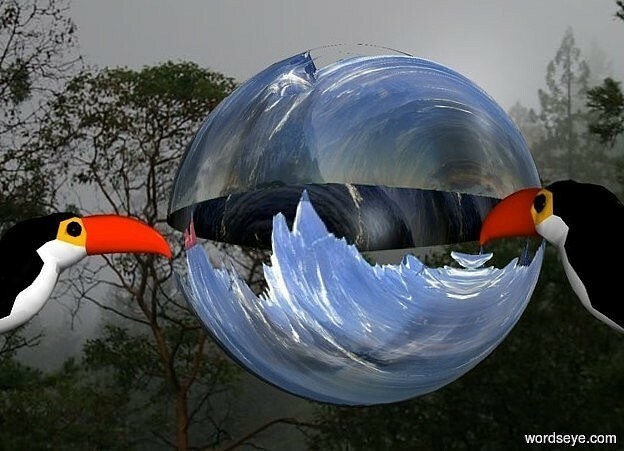 Input text: a large shiny [mountain] ball.a 1st bird is right of the ball.it is facing the ball.forest backdrop.a 2nd bird is behind the ball.grey sun. is that a submarine in the sphere? 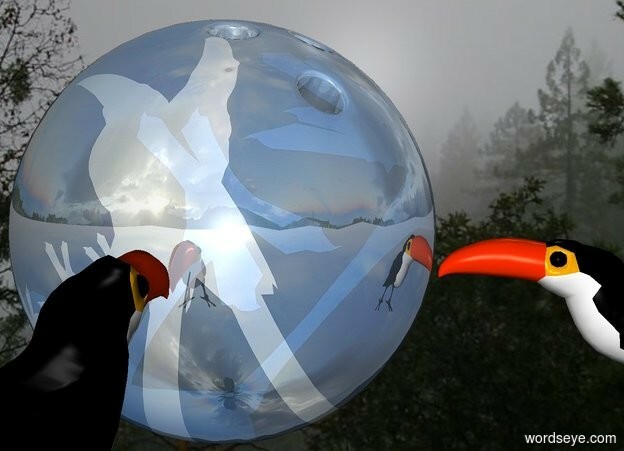 the mountain ball is interesting!